Some individuals argue that maintaining the uniform appearance of the homes or units in many condominium or homeowner associations is a valuable aspect of owning a home governed by community associations. However, often times, the owners of homes or units governed by community associations seek to deviate from such uniformity and endeavor to implement alterations to the appearance of their homes or units. The willingness of boards of directors to agree to some of the proposed alterations varies widely from one community to another – and in some instances, associations may not even have the right to oppose proposed alterations. When presented with a situation in which an owner is interested in making an alteration to his home or unit, community association directors should consider certain factors prior to making their determination. First, it must be determined whether the Association has the right to approve or disapprove the proposed alteration. For instance, in the event that the proposed alteration is deemed to affect or alter common elements or common areas, then the association may not have an option but to deny the proposed alteration given that some statutes and the provisions of some community association governing documents restrict the ability of owners or associations to effectuate changes to the common areas or elements. Furthermore, in some instances, alterations to the common areas or elements may only be allowed in the event a certain vote of the owners or directors is obtained. For example, Florida Statutes provide that material alterations to condominium common elements may not be effectuated unless approved by the vote of 75% of the association’s voting interests, unless otherwise provided in the association’s governing documents. While home owner associations do not have a corresponding material alteration statutory restriction, the governing documents of such associations may provide a requirement for an ownership vote to approve alterations to the common areas – as is the case with many condominium associations. Another issue that should be considered by community associations in connection with owner requests to proceed with alterations is how the alteration may impact the association’s obligations to maintain, repair, replace or insure the areas affected by the alteration. For instance, the owner of a condominium unit may want to enclose a patio by installing a new roof over the affected area and extending the enclosed area of the unit. 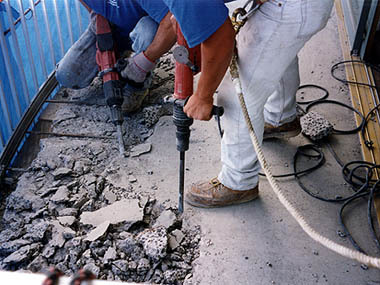 Such alterations result in the creation of new areas that will have to be maintained, repaired, replaced and insured. Furthermore, even if the association is deemed not to be required to maintain, repair or insure such improvements, the creation of such improvements may affect existing improvements for which the association is responsible. In light of the foregoing, for those circumstances in which the association is inclined to allow owners to alter, the association directors should consider establishing a contractual relationship between the owner and the association to clearly define how the maintenance, repair, replacement and insurance responsibilities related to such improvements are to be divided. The proposed agreement may further serve to clarify other conditions related to the alteration and the association’s approval thereof. For instance, the proposed agreement should establish requirements for the owner to engage licensed and insured contractors, for the work to be performed in accordance with professionally drafted plans and for required permits to be issued for the performance of the work. Additionally, provisions could be included in such agreement for the protection of the association during and after performance of the work, such as insurance and indemnification protection to be provided by or on behalf of the contractor to perform the work. The foregoing underscores the importance of exercising caution when presented with owner requests to alter home, units or common elements in properties governed by community associations. In light of the broad impact and long term effect that owner alterations might produce, it is advisable for community association directors and managers to consult with qualified and experienced legal counsel to ensure that the association is adequately protected.